Set among the scenery of nearby Blue Mountains in Ontario, visitors find an unrivaled four season entertainment and relaxation destination when they stay at Club Cranberry golf resort. Brilliant verdant green golf fairways are framed by spectacular Blue Mountain scenery for an incomparable experience. Set among the scenery of nearby Blue Mountains in Ontario, visitors find an unrivaled four season entertainment and relaxation destination when they stay at Club Cranberry golf resort. Brilliant verdant green golf fairways are framed by spectacular Blue Mountain scenery for an incomparable experience. Golf in the summertime and ski, snowmobile or snowshoe in winter. Year-round, timeshare owners at Club Cranberry delight in amenities like indoor and outdoor swimming pools, a recreation center featuring hockey, volleyball, basketball, bicycling and fun indoor activities like movie rentals, kids toys, games and children's programs. Older kids and adults enjoy aqua fitness and exercise classes. Once you've chosen one of the Collingwood timeshares for sale at Club Cranberry, you'll have choices of accommodation styles from air-conditioned studio accommodations, large town homes for bigger groups and families, and family-style one- or two-bedroom suites. In larger suites, you'll find flat screen TVs in the living areas, full kitchens with an assortment of appliances, glassware, utensils and china ware, along with a jacuzzi tub and gas fireplace. Studios include a mini-fridge, coffee service in the room, flat screen TV, movies on demand, free WiFi access, comfy mattresses, and a hairdryer. Resort guests enjoy time spent at the Marina with water activities, nearby trout fishing charters, fine and casual restaurants, nightly entertainment, and the Living Shore Spa. Winter time in Ontario brings out recreation seekers who love cross-country skiing, downhill skiing, snowshoeing, snowmobiling and outdoor skating at several rinks. 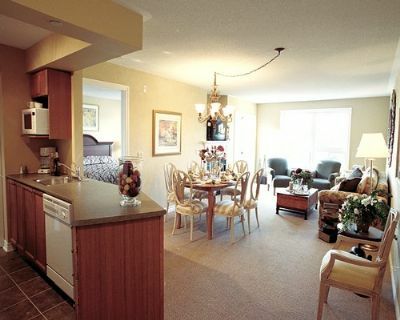 With spectacular scenery like Georgian Bay with its majestic cliffs leading to serene blue water and sandy beaches, to the gorgeous 18-hole golf course, visitors know that buying Collingwood timeshares for sale is a terrific decision. Visit the center of Collingwood, Wasaga Beach and the Blue Mountains. The truly adventurous love embarking on a three-hour trip to nearby Niagara Falls for a memory making day. The best family memories happen spontaneously when you're surrounded by stunning scenic beauty, plenty of activities for everyone to enjoy and newly discovered delights. Everyone will adore a Club Cranberry timeshare and will anticipate returning often! Contact Club Cranberry Specialist Today!